Guilty of a DUI … decorating under the influence! 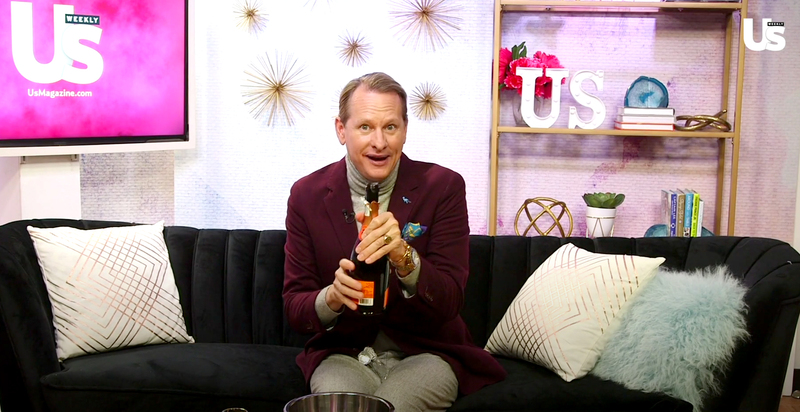 Carson Kressley has been putting his decorating skills to the test on his series Get a Room with Carson & Thom, so every now and then he has to take the edge off. The Queer Eye alum, revealed that fun fact, plus so much more in a game of “Never Have I Ever” with Us Weekly. From admitting to “borrowing” something from set and never returning it, to binging the new Queer Eye, Kressley didn’t hold anything back. Watch the exclusive video above! When he’s not tending to his ficus tree or designing rooms, the RuPaul’s Drag Race judge likes to binge-watch every Housewives series and even the new Queer Eye, who the cat of which he would love to have a “makeover-off” with. Catch Kressley on Get a Room With Carson & Thom on Bravo, and RuPaul’s Drag Race, airing on VH1 Thursdays at 9 p.m. ET.